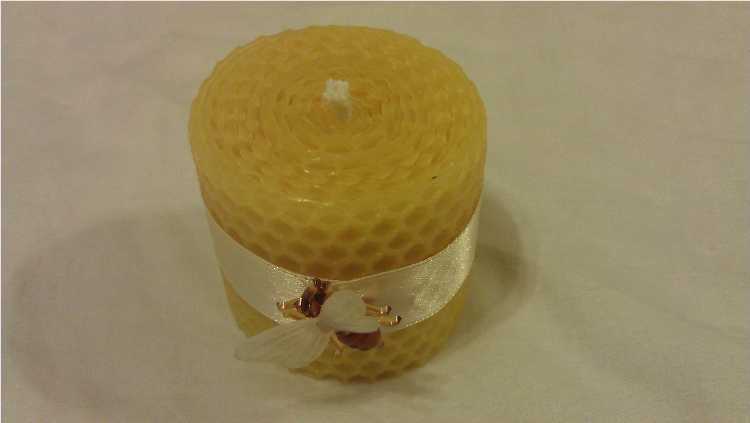 I currently have a variety of candles, polish, blocks of beeswax, wax jack tapers and also a limited amount of honey available. All the items are kept in 'stock' and available to purchase by clicking on the buttons below. Postage is expensive these days, I will combine items to reduce costs where ever possible. 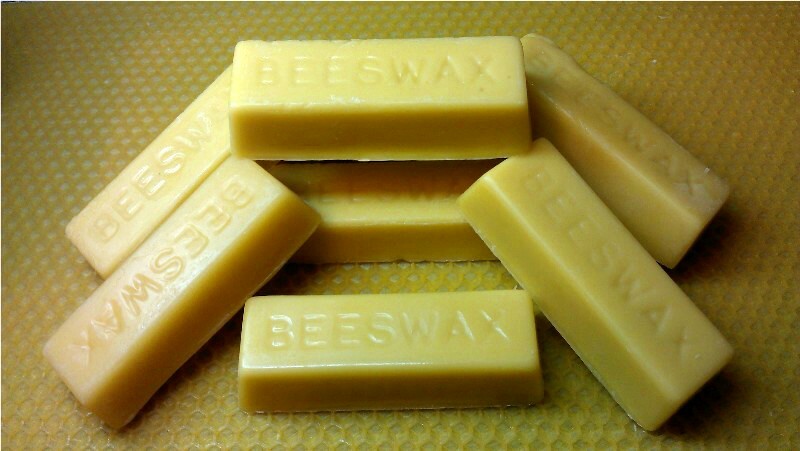 Please note that as beeswax is a natural product, this can result in slight variations in colour for all the items listed on this page. Have a look here, if you are local to the Medway Towns, come along to see my stall and all my products. Approx. Burn time in hours. Postage will be an additional £4.00 for quantities listed (2nd Class Signed For). 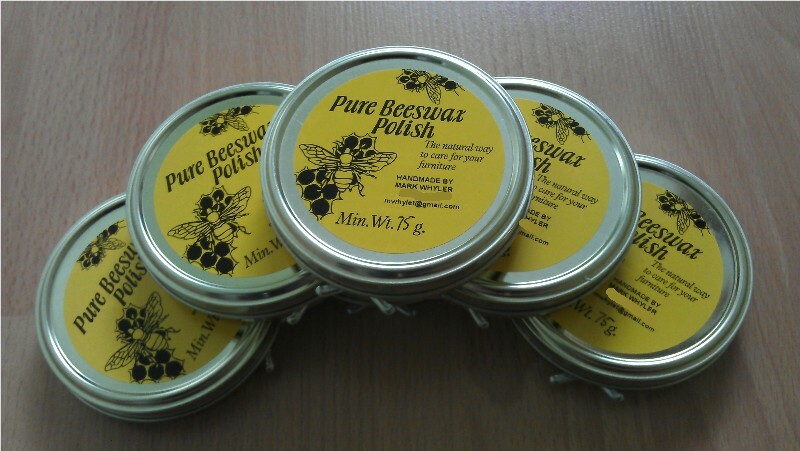 Beeswax Furniture Polish is also available, this is available in 100ml twist lock tins (similar to shoe polish tins), each tin contains approx. 80 grams of beeswax polish. 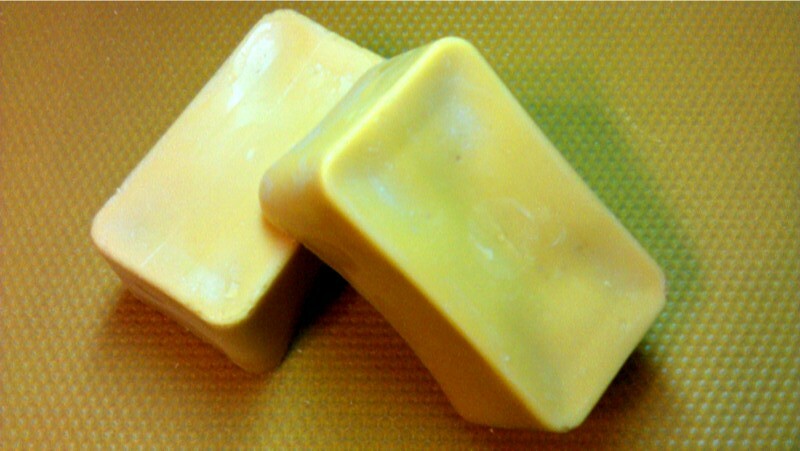 The ingredients are Beeswax, Carnauba wax and pure turpentine (not turpentine substitute). Varying the ratio of the ingredients gives the polish a different consistency, variations are easy to achieve, and so let me know if you have a specific requirement. My standard ratio used gives a soft wax resulting an easy application. Postage will be an additional £3.00 for quantities listed (2nd Class). 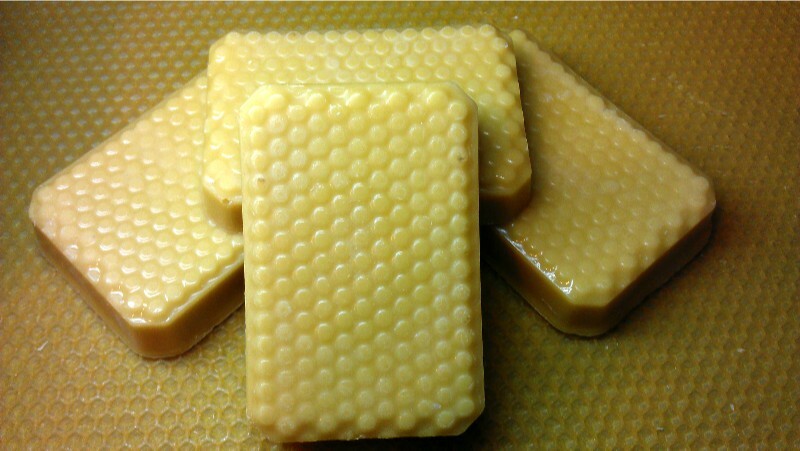 Cast blocks of filtered beeswax are available in three different sizes, these are shown below. Please note that the weights/sizes are approx. Here we have a jar of honey collected from my apiary. 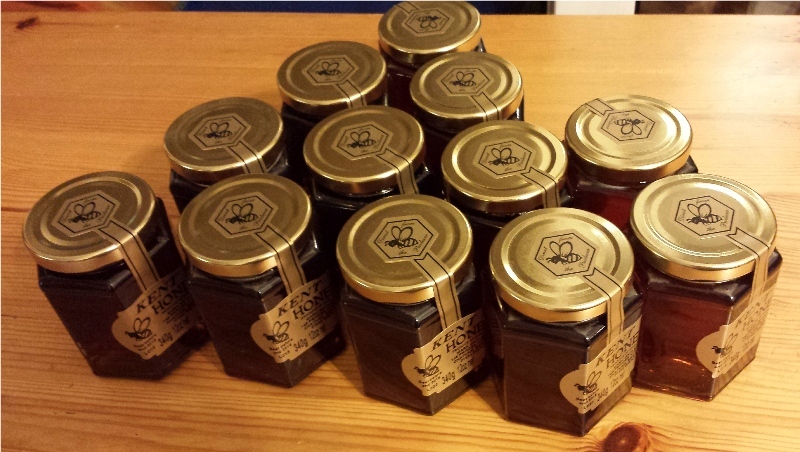 Each jar contains 340 g (or 12 oz) of honey. The honey has been extracted as given in this link. 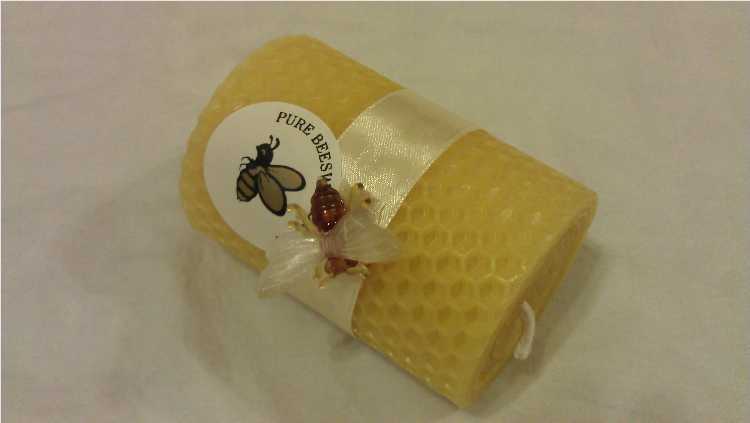 This honey is available in limited quantities, please order early to avoid disappointment. Each Jar is £5.00 and Postage will be an additional £4.00 (2nd Class 'Signed For'). 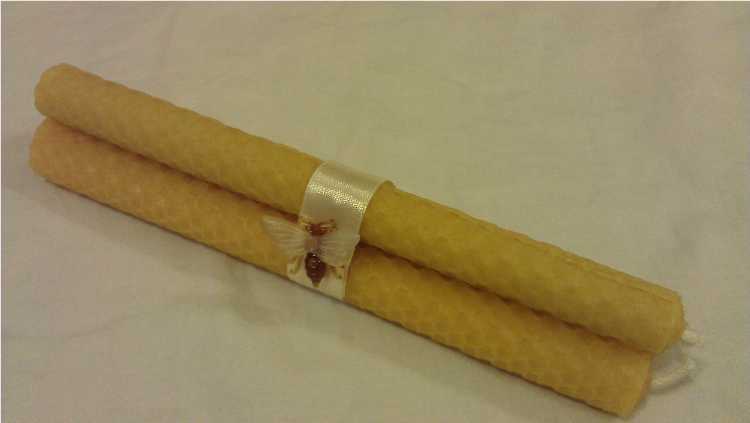 Handmade beeswax tapers, approximately 1.4 m in length & 6-7 mm in diameter. Each contains a natural cotton wick. 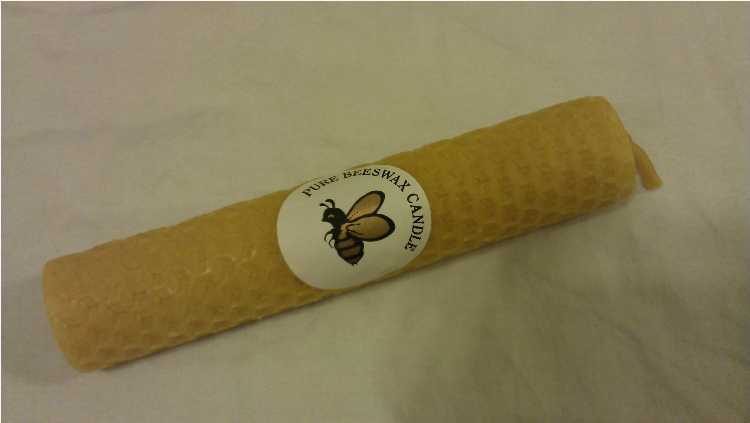 I have deliberately not used a modern beeswax wick. 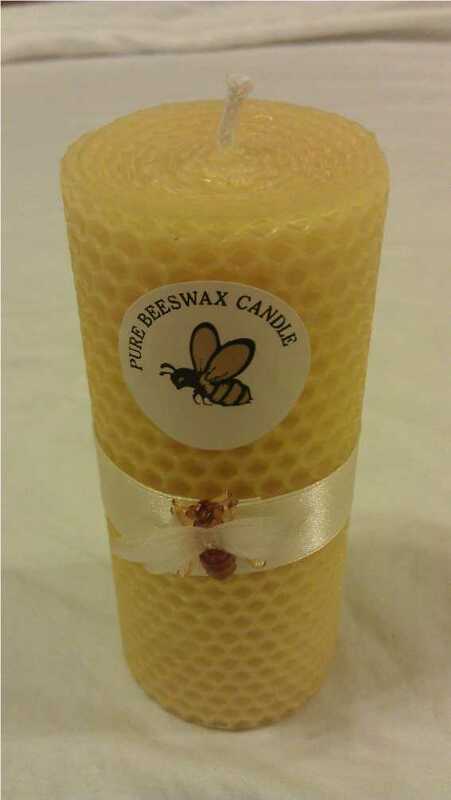 Available in both plain or dyed red beeswax. As these are handmade, there may be a small variation in diameter and the odd small lump (small drip produced when made) due to the way they are made. Although these tapers are naturally bendable, I would suggest gently heating the beeswax taper in a warm room or dipping into ‘hand-hot’ water. This will allow easy shaping around the wax spindle on the wax jack. 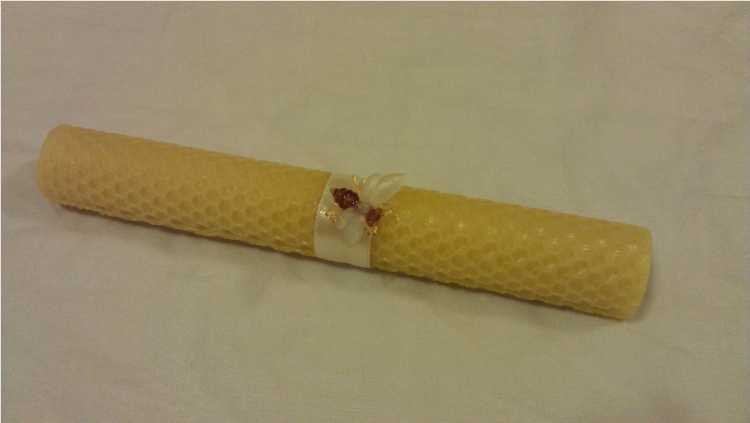 On a cold day the without heating, the beeswax will simply crack when you try and bend it, although this can be 'repaired' by dipping in hand hot water and moulding between your fingers. 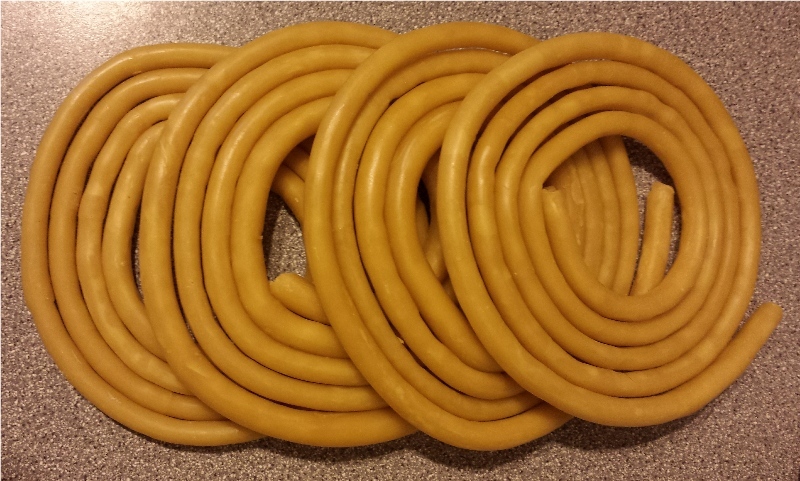 If you want a variation on length, diameter, type of wick or larger quantities please contact me. Prices include 1st class postage to all locations (inc overseas).